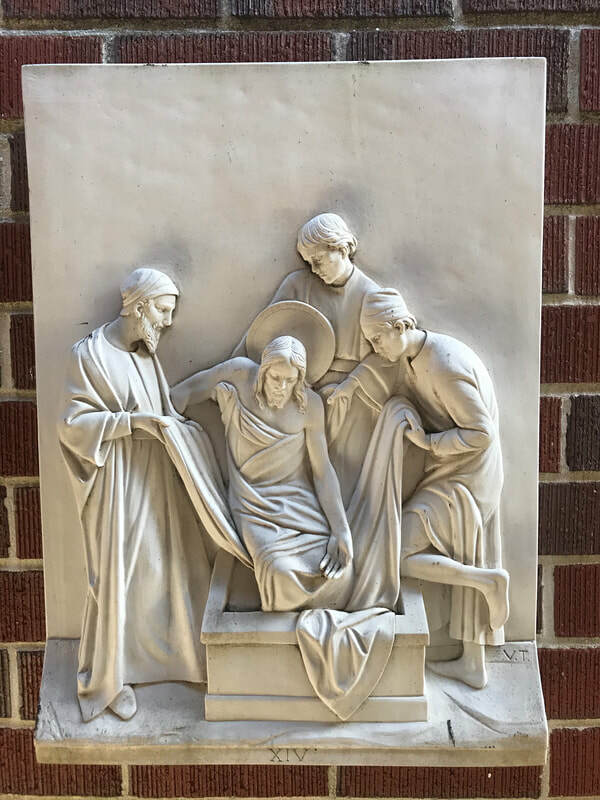 St. Mark's stations were dedicated on Good Friday, March 28, 1986. ​The order of service below was developed by the Rev. Dr. Kathryn B. Baines in 1993. The responsibilities of work, family, and other often prevent us from being able to fully participate in the worship life of the congregation. That is ok. Please know that wherever you are, you are on holy ground. Be present and be faithful. 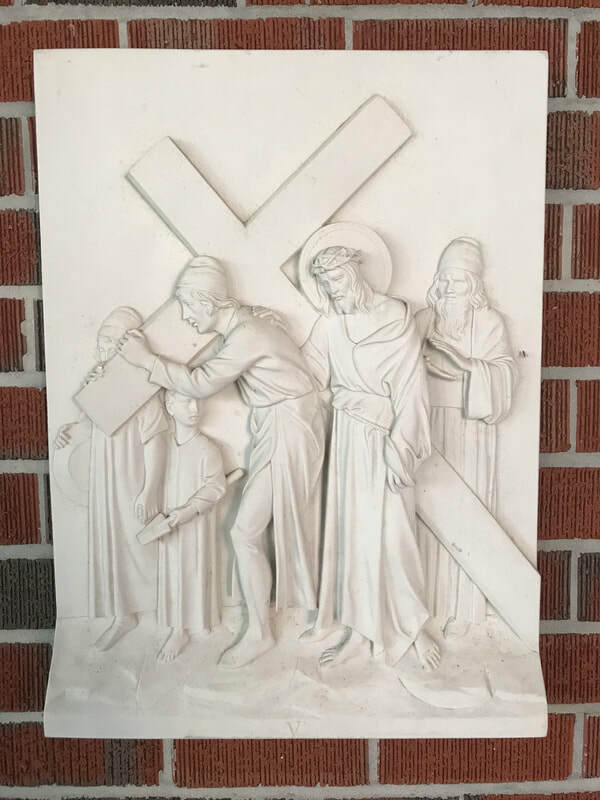 If you are unable to join us for stations of the cross on Wednesday April 17, 2019 @ 12:00, a brief order of service is posted below. So although you may not be physically present, you may join to the community of faith as we gather for worship on your behalf. Siblings, let us prepare ourselves to meditate upon the mystery of the passion and death of our Lord Jesus Christ. The death of Christ shows us the seriousness of our sins, but even more, it reveals the depth of God's love for us. 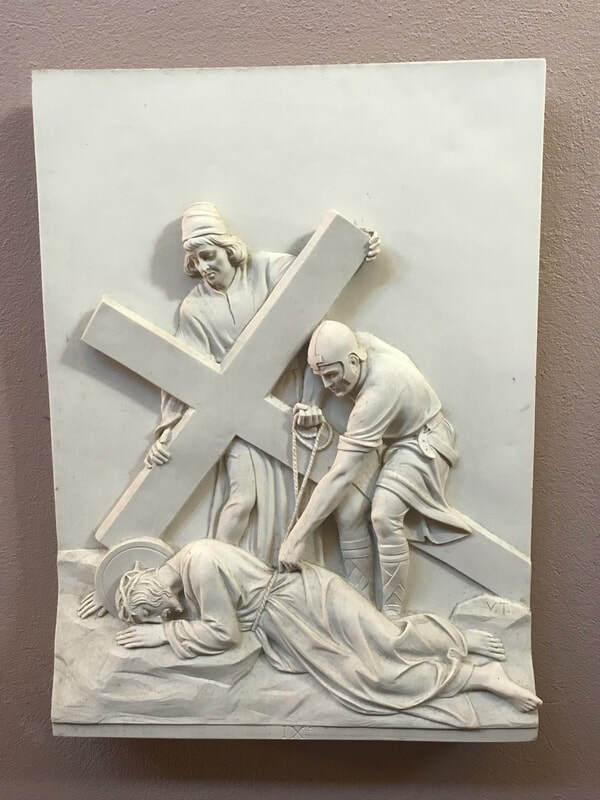 Lord God, go with us now on this way of the cross. Help all of us who make this journey meet Christ in our own lives and imitate him in all that we do. 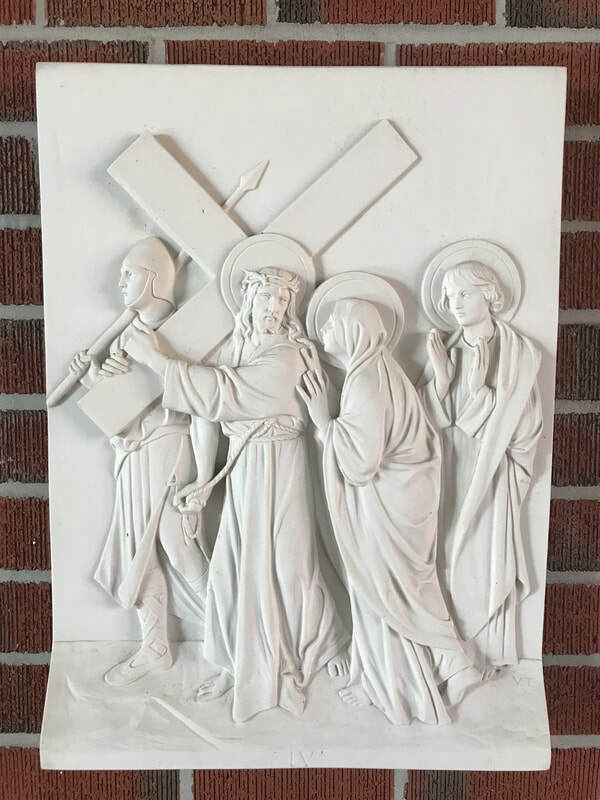 Response: Because by your holy cross you have redeemed the world. 15 As soon as it was morning, the chief priests held a consultation with the elders and scribes and the whole council. 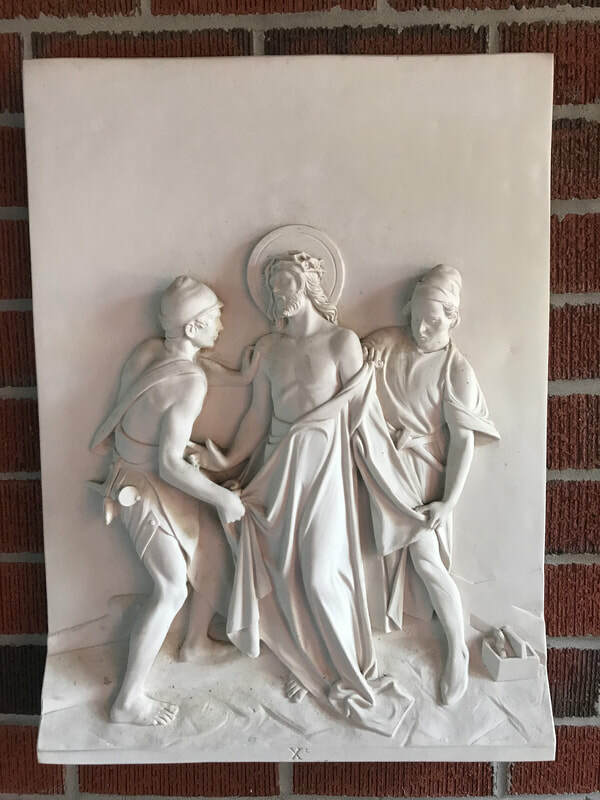 They bound Jesus, led him away, and handed him over to Pilate. 2 Pilate asked him, “Are you the King of the Jews?” He answered him, “You say so.” 3 Then the chief priests accused him of many things. 4 Pilate asked him again, “Have you no answer? See how many charges they bring against you.” 5 But Jesus made no further reply, so that Pilate was amazed. 15 So Pilate, wishing to satisfy the crowd, released Barabbas for them; and after flogging Jesus, he handed him over to be crucified. Lord Jesus, you were a prisoner unjustly condemned. Help us remember the prisoners of our world who need ministry and those unjustly persecuted who need our voices to speak for them. Make us hungry for justice. Lord Jesus, Pilate condemned you to please the crowd. Help us reject the pressures of he crowd that would have us condemn the innocent, devalue the worthy, or neglect those whom you love. Lord Jesus, the people chose Barabbas instead of you Make us long for you and the ways of your kingdom. Keep your passion alive in our hearts. 15 They cried out, “Away with him! Away with him! 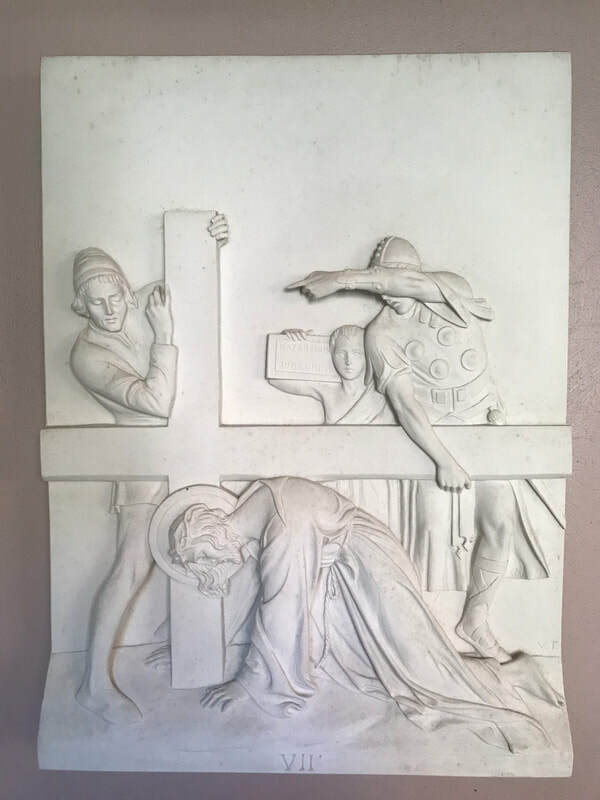 Crucify him!” Pilate asked them, “Shall I crucify your King?” The chief priests answered, “We have no king but the emperor.” 16 Then he handed him over to them to be crucified. 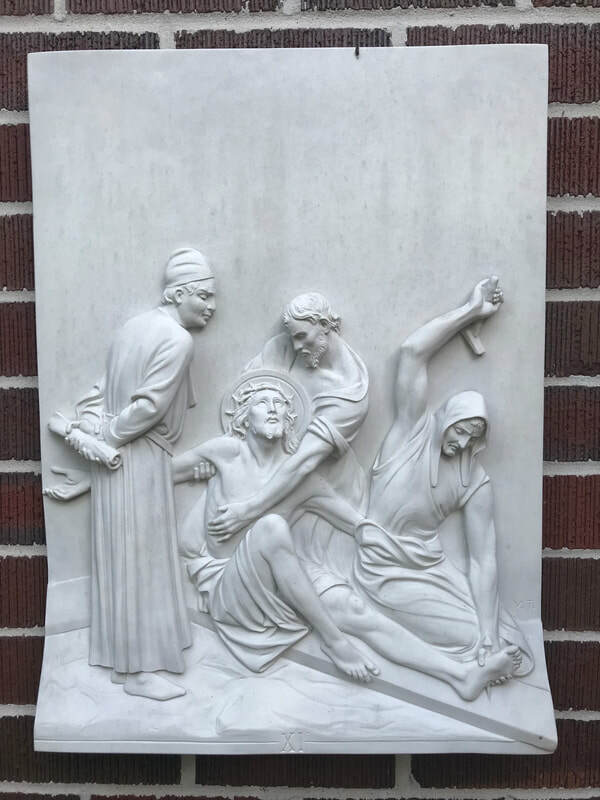 So they took Jesus; 17 and carrying the cross by himself, he went out to what is called The Place of the Skull, which in Hebrew is called Golgotha. Call: Upon him was the punishment that made us whole. Dearest Lord Jesus, you were raised up on the cross as a sacrifice for our salvation. Keep us always in the covenant of our baptism so that we may live as your redeemed people. Lord, you have saved us by your blood. Dearest Lord Jesus, by dying you broke the power of death and opened to us the way of everlasting life. Fill us with that sure and certain hope. Dearest Lord Jesus, as we listen to the promises and demands of our leaders, help us remember that we have a King beyond any president or governor and a loyalty to a kingdom not of this world. Keep your passion alive in our hearts. Who, though he was in the form of God, did not regard equality with God as something to be exploited, 7 but emptied himself, taking the form of a slave, being born in human likeness. 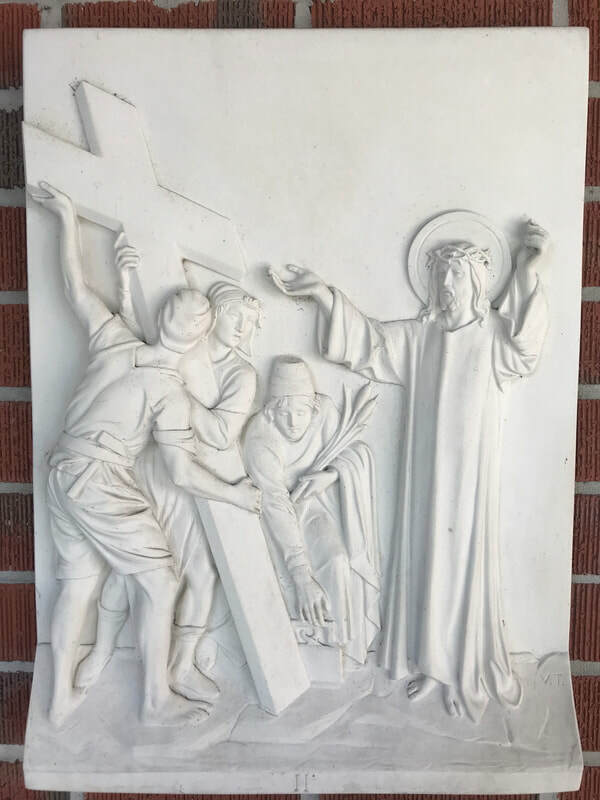 And being found in human form, 8 he humbled himself and became obedient to the point of death— even death on a cross. Christ Jesus, you gave up everything so that we might be part of your eternal family. Forgive us when we hold too tightly to material things. Help us cling only to you. Christ Jesus, give us grace to share what you have given us with the world. Help us learn that it is by emptying ourselves in your service that we are filled. Christ Jesus, be our model of obedience. conform our wills more and more to the will of your Father. Keep your passion alive in our hearts. Lord Jesus, son of Mary, often our eyes are red from weeping because we see ruin around us. Help us know that God is in control, no matter how things appear. Give us patience to wait a little while for God's mighty acts, always knowing that God's kingdom will come and God's will be done. Lord Jesus, son of Mary, when our stomachs churn and all our energy is poured out off the ground, heal our brokenness. Send comfort in our weeping. Remind us of your unfailing love. Keep you passion alive in our hearts. 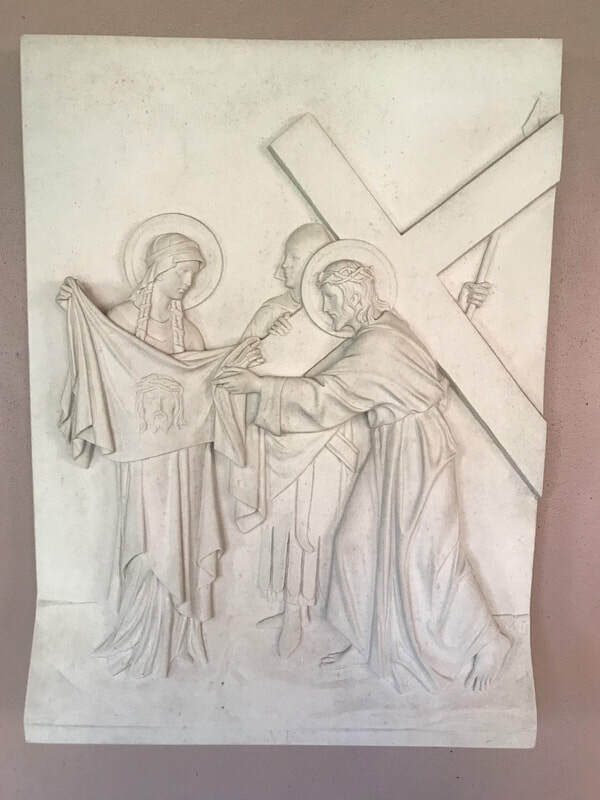 Christ our redeemer, you bid us take up our cross and follow you. 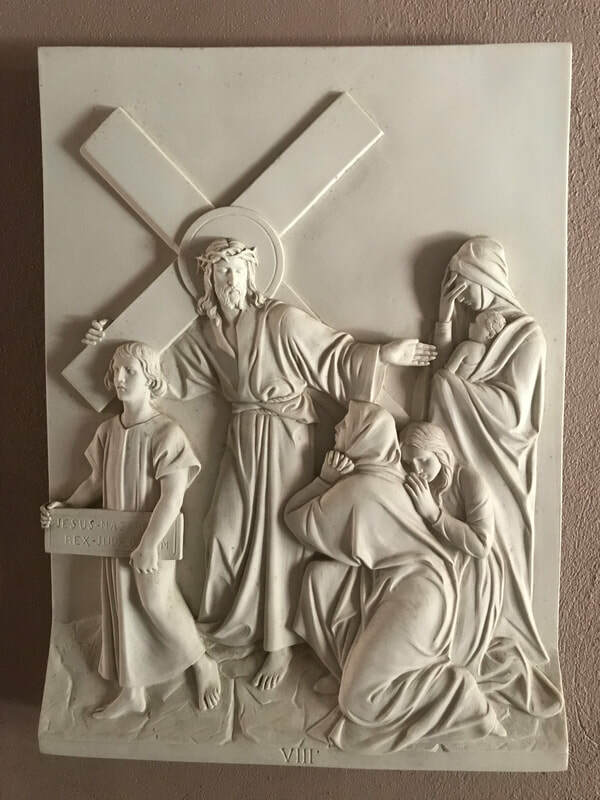 Give us insight and courage to follow in your way of the cross. Christ our redeemer, you have carried our burdens and borne our sins. Give us repentant hearts and strengthen us as we struggle with the temptations ever present in our lives. Christ our redeemer, make us ready to walk in your ways and encourage us to be about the world of your kingdom. Keep your passion alive in our hearts. Call: "Come," my heart says, "Seek his face!" God of the suffering, help us to see you in the faces of the homeless, the sick, the elderly, the abused, and the oppressed. Make us ready to serve them as we would gladly serve you. Make your people holy, O Lord. God of the suffering, console the afflicted, liberate the oppressed, feed the hungry, bind up the broken, and use us for this world. God of the suffering, be with those to whom death draws near. If they are in pain, give them patience and ease. Comfort them with the assurance of your presence. Take the fear from within us so that we may stay besides them. Keep your passion alive in our hearts. Shepherd of the flock, like sheep we often go astray. Open our ears. Make us hear and heed your call. Good Shepherd, keep us close to you. Shepherd of the flock, you gave your life for your sheep. You know your own. Help us know you. Be with us always to guide and protect us. Shepherd of the flock, when we wander away, you carry us back. When we fall, you bear us up. When we are wounded, you feel the pain. Heal our bruises by taking them to yourself. Keep your passion alive in our hearts. 27 A great number of the people followed him, and among them were women who were beating their breasts and wailing for him. 28 But Jesus turned to them and said, “Daughters of Jerusalem, do not weep for me, but weep for yourselves and for your children. 29 For the days are surely coming when they will say, ‘Blessed are the barren, and the wombs that never bore, and the breasts that never nursed.’ 30 Then they will begin to say to the mountains, ‘Fall on us’; and to the hills, ‘Cover us.’ 31 For if they do this when the wood is green, what will happen when it is dry? Call: A voice is heard in Ramah, lamentation and bitter weeping. O Hope of the sorrowing, even on your way to die you heard the weeping of the women and stopped to speak to them. Help us hear the cries of the suffering, the oppressed, and the outcast. Lord, grant your people peace. O Hope of the sorrowing, we pray for those who only weep because their hearts are broken and heir worlds have fallen apart. O Hope of the sorrowing, we have found many ways to fracture our lives and our relationships. Heal our brokenness with your presence. Keep your passion alive in our hearts. ​31 In the same way the chief priests, along with the scribes, were also mocking him among themselves and saying, “He saved others; he cannot save himself. Lord of love, you were taunted by the crowds. Make us willing to suffer ridicule for the sake of the gospel. Make us bold in proclamation. Lord of love, you died even for those who mocked you and did not know you were dying for them. Reveal to those who do not now believe in you the depth of your love for them. Lord of love, heal your church. When its leaders are in error, correct them. When it makes a mockery of your message, reform it. When we fail to live as your chosen people, chasten us. Keep your passion alive in our hearts. ​25 And that is what the soldiers did. Lord, we hide behind our clothes. We use them to make us appear powerful, or sophisticated, or chic. Help us know that you see us without those trappings and you love us in spite of what we try to hide. Help us see ourselves with your eye, Lord. Lord, we sometimes judge others by their appearance. Help us remember that you were ragged and dirty and naked when you died for us. Make us aware of our unfair judgements. Help us see ourselves with your eyes, Lord. Lord, there are many in our world from whom clothing, homes, and comfort have been taken by poverty, disaster or persecution. Inspire us to share joyfully of the abundance that you have given us. ​33 When they came to the place that is called The Skull, they crucified Jesus there with the criminals, ​one on his right and one on his left. ​Call: When they look on the one whose they have pierced. Crucified One, you hung on the cross between two thieves and remembered the one who looked to you in faith. Remember us, O Lord, in your eternal kingdom. Crucified One, on the cross you stretched out your arms in love. Grant us grace to stretch out our arms to a world hungry for your love. Crucified One, our hearts are filled with grief as we watch the nails pierce your flesh, knowing that our sins are wielding the hammer. Forgive us. Strengthen us to resist temptation. Turn our lives around so that we grown in your image and learn to walk in holiness and righteousness. Keep your passion alive in our hearts. 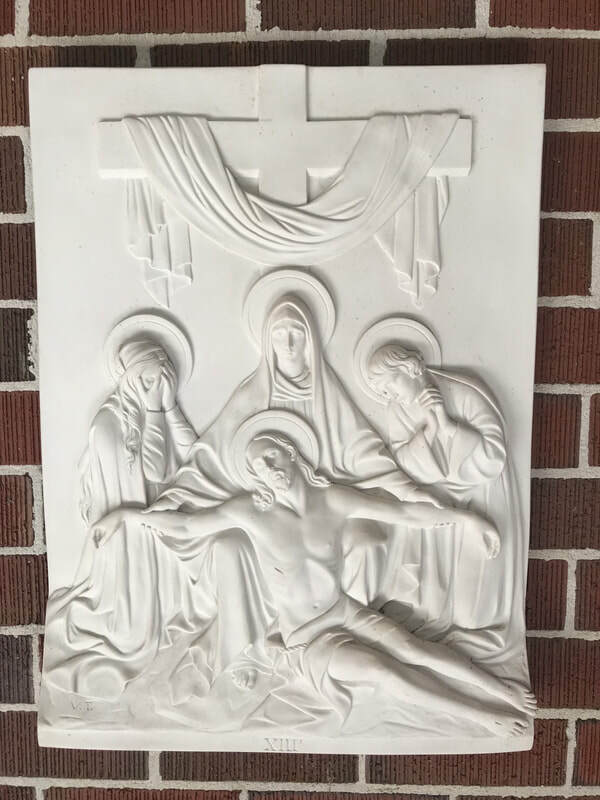 Christ our Lord, source of life and light, you died, sinless, on the cross in our place. Grant forgiveness and salvation to us, for we deserve only the punishment you bore. Christ our Lord, by your suffering and death you broke down the walls of hatred that separate your people. Grant us courage to love those who seem different from ourselves. Christ our Lord, by your death, you transformed your cross into a tree of life. Fill us with hope in the face of death. Keep your passion alive in our hearts. 31 Since it was the day of Preparation, the Jews did not want the bodies left on the cross during the sabbath, especially because that sabbath was a day of great solemnity. So they asked Pilate to have the legs of the crucified men broken and the bodies removed. 32 Then the soldiers came and broke the legs of the first and of the other who had been crucified with him. 33 But when they came to Jesus and saw that he was already dead, they did not break his legs. 34 Instead, one of the soldiers pierced his side with a spear, and at once ​blood and water came out. Lamb of God, you take away the sin of he world. Have mercy on us and grant us peace. Wash us and we will be clean. Lamb of God, you have given your own body and blood for our nourishment and salvation. Make us ever hungry for the sacrament, for only in you can we receive the forgiveness of our sin. Keep your passion alive in our hearts. Son of the living God, you were buried in the earth like a seed that would blossom into eternal life. Help us to die to sin that we may rise to new life in you. Lord, fill us with hope. Son of the living God, in our baptism we have shared in the power of your death and burial. We look with hopeful anticipation to the day when we will finally share in your resurrection to eternal life. Until that day, keep your passion alive in our hearts. I, a troubled and penitent sinner, confess to you all my sins and iniquities with which I have offended you and for which I justly deserve your punishment. But I am sorry for them, and repent of them, and pray for your boundless mercy. For the sake of the suffering and death of your Son, Jesus Christ, be gracious and merciful to me, a poor sinful being; forgive my sins. Give me your Holy Spirit for the amendment of my sinful life, and bring me to life everlasting. Almighty God, in his mercy has given his Son to die for us and, for his sake, forgives us all our sins. Through the Holy Spirit, God cleanses us and gives us power to proclaim the mighty deeds of God who calls us out of darkness into the splendor of his light. In the name of Christ, your sins are forgiven. O God, our Father, by the cross of your Son you reconciled the world to yourself, enabling us to live in love and harmony. We thank and praise you for the forgiveness of sins and the precious gift of peace. Help us to forgive each other and to establish justice and concord throughout the world, through Jesus Christ our Lord. The Lord has made you free. Go in peace. Click here to view who gave each station and in whose memory it was given.